A slightly different round-up this week; I’m not going to do the usual summary of past reviews. I’m not doing restaurant news this week either, because there isn’t much news: the places which are due to open (CAU, Rynd) are still due to open and nowhere has closed that I know of, unless you’re devastated that Reading has lost one of its two Bella Italias (and if you are, I’m not quite sure why you’re reading this). We do have a gluten free café opening on Cross Street, so there’s that I suppose, but that’s all. Instead, it’s a chance to round up a year in the life of Reading’s restaurant scene, because Edible Reading is one year old. There have definitely been changes in the last year. As always, we’ve seen a steady churn of restaurants opening and closing: we’ve said goodbye to some, like Kyklos and the Lobster Room, and hello to others, like La Courbe and Coconut. I was sad about Kyklos – it never lived up to its potential, but some of the dishes were good and the service was excellent, and it would have been lovely to be able to eat Greek food (a really underrated cuisine) in the centre of town. The new boys are also a mixed bag – La Courbe does brilliant food but never quite feels like a restaurant, and Coconut isn’t quite distinctive enough to offer something different in a town with plenty of options already. The more interesting arrivals have been in Reading’s cafés: with My Kitchen and Lincoln Coffee opening in the centre there have never been more alternatives to the hegemony of Coffee Corner. If you add in the other lunch possibilities, like Bhel Puri (another welcome opening in the last year), and the other contributors to Reading’s coffee scene (those lovely chaps at Tamp Culture), this is an area where things definitely feel like they’re changing for the better. 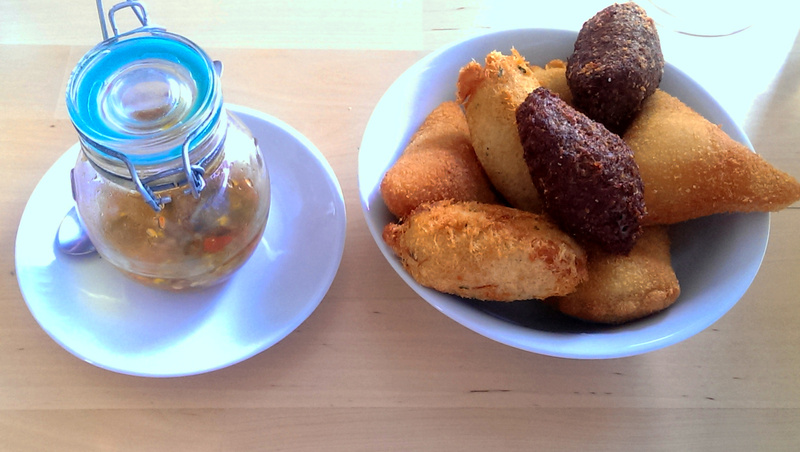 I’m just sorry that Cappuccina Café, with its delicious banh mi and pasteis de nata, didn’t stay the course too. There’s more to food culture than restaurants, and this too is one of the more promising signs over the last twelve months. Reading now has a top-notch wine merchant in the shape of the Tasting House, and The Grumpy Goat offers a mind-boggling range of beers and many of the area’s delicious cheeses. The recent spate of supper clubs in the area also shows that food has never been as important to Reading as it is today, and although we still don’t have enough street food at least we have the artisan market on Fridays, even if the opening hours are plain silly. It’s a start, anyway. Anyway, I was wondering how else to best round up the year, and then I realised: I am totally out of step with the zeitgeist. Journalism these days is all about lists – you only have to read a Buzzfeed link to figure that out – and I haven’t done a single list all year! What was I thinking? So, without further ado, here’s how I’d like to sum up a year of Edible Reading, with a list. Reviewing restaurants is all about reviewing meals, evenings, experiences – and sometimes that misses the point that there can be great dishes tucked away even in middling meals. So to redress the balance, here for your delectation, in sort-of-alphabetical order, is a list of the ten best things I’ve eaten in the last year while reviewing restaurants for the blog. Zeitgeist here I come! 1. 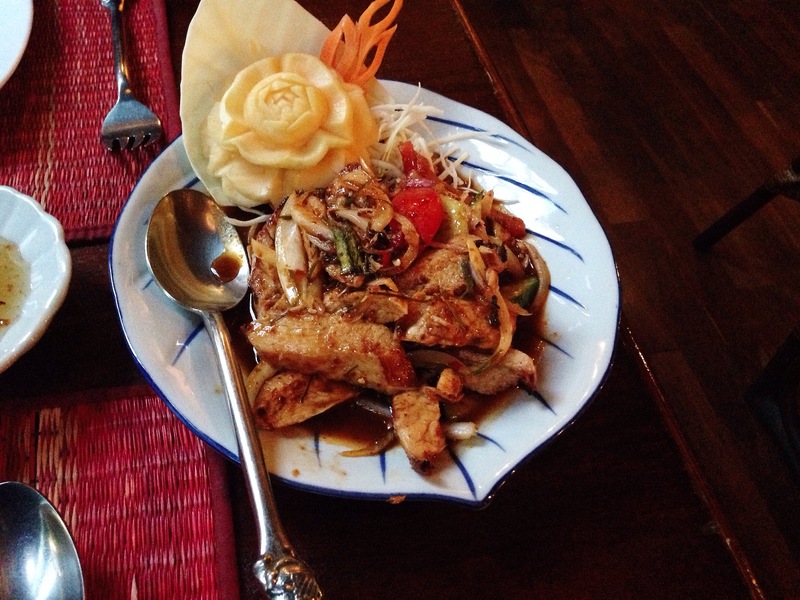 Yum gai yang, Art Of Siam. This salad is all about contrast (and not at all about leaves and lettuce). The chicken is perfectly soft and cooked and the vegetables seem to be purely there for texture as nothing, but nothing, stands up to the flavour of the dressing. It has tons of heat – enough chilli to require a glass of milk or at least a handkerchief – but also has the tartness of fresh limes to create a liquor in the bottom of the dish that’s worth spooning up because it is so fab. The flavour is super intense and salty and is enough to render even me speechless (or that might just be the chilli). 2. Lamb karahi, Bhoj. The little silver bowls of meat at Bhoj remind me of spice bowls in an eastern market which seems very apt for this dish. The lamb (and “juicy baby lamb” at that) has been cooked for so long that it falls apart into shreds at the lightest touch of a fork and the sauce is much drier than the usual British-Indian chunks-of-meat-in-an-orange-sauce affair. Here, it’s more a sticky, rich, spiced gravy with the odd cardamom pod for accidental-eating fun. Order one for yourself because you won’t want to share. I did, and I still regret it now. 3. Chilli paneer, Bhel Puri House. I could never turn vegetarian – it’s just not in my nature – but this dish at Reading’s only (to my knowledge) vegetarian restaurant is so good that adding bacon wouldn’t improve it. High praise indeed! The small cubes of paneer are marinated in chilli and fried. That’s it. But, my goodness, they’re so good! The layer of lettuce underneath is pointless and if you accidentally eat a green chilli thinking it’s a green bean (I mean, who would make such a mistake? erm…) you realise where all the heat comes from. Not so hot that it burns and tingles but enough to make every sticky cube worth fighting over. 4. Bread and butter, Côte. Bread. Such a simple thing, right? But at how many places in Reading can you get truly decent bread? A two quid basket of bread at Côte is six diagonal slices of what is arguably the best bread in Reading – crispy and slightly chewy on the outside, fluffy and malty on the inside. It’s served with a little pot of room temperature salted butter which melts as it goes onto the warm bread. If you’re canny it’s worth splitting each finger of bread into two to make the most of the surface area. It’s a perfect amuse bouche before getting down to the serious business of ordering (and when you do, Côte’s tuna niçoise also came close to making this list – just saying). 5. Chips and mayonnaise, The Eldon Arms. A bowl of chips is another simple pleasure that’s often done terribly. Whilst the French fry has its place, proper chips should always be thick cut. In the Eldon the chips were served without pomp, without daft toppings or being put into a pointless gimmicky tiny frying basket: not affected, just bloody delicious. Thick cut, crispy on the outside and fluffy on the outside. Simple. Then served with a bowl of proper (there’s that word again) home made mayonnaise which had enough garlic in it to make enemies the next day but with no fanfare to announce its arrival because, in the chef’s eyes, it was just mayonnaise. It saddens me greatly that the Eldon is closed, and the burgers got all the plaudits but strangely it’s the chips I miss most. 6. Chicken lahsooni tikka, House Of Flavours. Chicken tikka is one of those dishes that has entered the British lexicon, a shorthand for Indian food that so often gets abused and made into something cheap. This, though, is nothing like the chicken tikka flavour you’d get in a Pot Noodle (and, regrettably, I know this for a fact because I had one recently – never again). The chicken, marinated in spice and yoghurt, is as soft as butter, as if it’s only just been cooked through, no more. The spices are rich and smooth and best of all, in my opinion, there’s lots of garlic too. A squeeze of fresh lemon juice over the top to give it a bit of zing and you have, I reckon, about as perfect as starter as can be. 7. Mixed grill, La Courbe. What’s not to like about a restaurant that can serve up meat in this many different ways and for them all to be really good? The lamb kofte is soft and herby, rather than hot. The chicken is marinated in ginger and cooked so the inside is soft but the outside is caramelised. The grilled lamb comes flavoured with cinnamon to give a slightly sweet taste and cooked so it’s just pink but still soft. The dollop of houmous on the side was surprisingly average, but the superb tabbouleh also deserves special mention: fresh, clean and green. 8. Tuna tartare, Malmaison. Like I said, even bad meals can contain brilliant dishes and despite the gloomy surroundings this dish shone brightly in the Malmaison firmament (only partly because of the glass plate they served it on). The tuna was super fresh and went perfectly with the avocado, truly ripe with that delicious buttery taste. The wasabi and slivers of pickled ginger on the side were perfect dotted onto a forkful of tuna and avocado, and the sesame dressing drizzled round the edge had a slight sticky sweetness which made it worth mopping up. If only the rest of the restaurant had lived up to the food. 9. Crab ravioli, Pepe Sale. As the first restaurant to get the ER treatment it pleases me greatly that Pepe Sale makes it onto this list. The crab ravioli is on the specials menu so often that it should become a standard, especially as it’s so good. The ravioli is perfectly cooked, just al dente, and made fresh that day on the marble counter just inside the door. The fluffy crab inside is more generous than it needs to be (but then that’s probably how Pepe Sale has maintained a loyal following for the past fifteen years). The tomato and cream sauce is rich but not overwhelming so a bowlful feels like a treat not an overindulgence. A year on, one of the first dishes I reviewed is still one of the very best. 10. Fried chicken, rice and peas, Perry’s. Perry’s, despite its size, is one of the more intimidating places I’ve eaten since I started ER. I’m glad I went in, though, because it does food that I would struggle to get anywhere else. The chicken is seasoned, coated in flour and fried and then served with a generous helping of rice and peas. Calling it rice and peas is one hell of an understatement, mind. This a side dish on the scale of your mum’s best stew – rice and peas cooked in stock, herbs and spices that are too numerous for me to identify. There’s plenty of chilli in there but the whole flavour is more sophisticated than plain old chilli suggests. Even if it wasn’t an amazing dish in its own right, I’d want it on this list because, more than anything, it symbolises food I would never have eaten if I hadn’t started this blog. Getting that list down to just ten dishes was no mean feat – no room, sadly, for the ribs at Blue’s Smokehouse, the churros at Tampopo, the truffle ravioli at Ruchetta and countless others. It just goes to show how much good food is out there in and around Reading if you know where to look – and sometimes even if you don’t – despite our reputation as a clone town. When I started Edible Reading I did wonder if there was enough here to keep me going. A whole year of weekly reviews, the majority of them in central Reading, suggests that I may have been worrying unduly. Without a doubt, the best thing about the last year has been the involvement from everyone who reads the blog – commenting, passing on reviews, Retweeting and getting involved with the conversations. And even now, every time someone tells me they’ve tried and loved a restaurant after reading an Edible Reading review it absolutely makes my day. So please don’t forget to request places you’d like to see reviewed – and if you think I’m missing that one great dish that you order time and time again, add your two pence in the comments box. Let’s start with the chicken. It’s glorious; straight off the grill, lightly charred on the outside yet tender inside from the marinade. It’s frustrating having to eat it with nothing but a plastic fork (even a plastic knife would have been something) but it’s so perfectly cooked that even a plastic fork can break it into smaller pieces. The lamb, if anything, is even better – juicy, savoury, no fat, no suspicious bounciness. The lamb kofte is just as good, minced but pleasingly coarse rather than turkey twizzler smooth, the herbs and seasoning bringing out every bit of the lamby goodness. 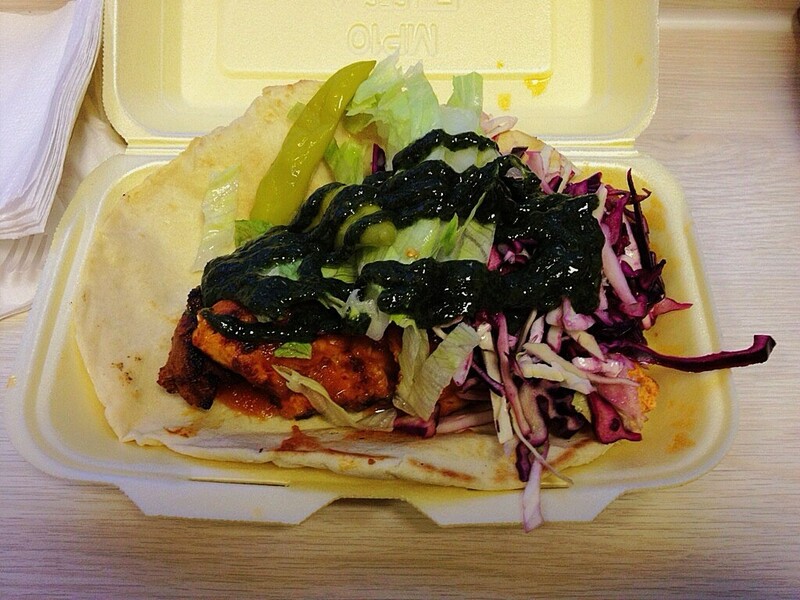 Both kebabs are topped with salad – crisp iceberg and crunchy red cabbage – all fresh rather than wilted and forlorn. The mint sauce, perfect with the lamb, is sweet and thick. The chilli sauce has less kick than I thought it might, which is a relief, but is smoky and delicious. A mixture of the two, with a mouthful of the meat and some texture from that salad, is heaven. The garlic sauce is creamy and rich without being overwhelmingly garlicky – all of the plusses without the halitosis horror the next day. And, let’s not forget, you also have the flatbread it’s all served on – gradually soaking up that sauce and those juices, waiting until enough meat is gone that you can roll it up, like a magic carpet, and eat it without dignity, savouring all those flavours and maybe, just maybe, dripping a bit of sauce into the bottom of your polystyrene container. No, I’m not joking: this really is a review of King’s Grill, the kebab place on King’s Road. You know, the one next to the picture framers. I considered all sorts of restaurants to review for the one year anniversary of Edible Reading. The French Horn, so beloved of the late Michael Winner, with its proper old-school starched linens and starchy service by the riverbank. L’Ortolan, which has a Michelin star. Orwell’s, whose chef has won one in the past and probably will again. It would have been easy to book one of those, dress up and eat pretty, seasonal, precise courses and carefully selected wine – and I probably will some day – but somehow it didn’t feel right for this week. Besides, none of them are actually in Reading and there’s a reason this blog isn’t called Edible Berkshire. So I chose King’s Grill because, believe it or not, it’s all about the fundamentals – and King’s Grill gets those as right as anywhere I’ve been in the last year. There are only six seats, retro faux-leather stools looking out over a sidestreet and (if you’re really lucky) Reading Library. There are only a few options: lamb shish, chicken shish, kofte (you can have lamb or chicken doner, or a burger, if you like that sort of thing: I don’t). But it’s scrupulously clean – I swear every time the staff aren’t cooking or serving they seem to be wiping or cleaning – and the service is unfailingly polite. And those shish and kofte are cooked perfectly, served up fresh and bloody gorgeous. It’s a room with seats and pleasant service in which you can eat marvellous food; as good a definition of a restaurant as any I can think of. It’s not all perfect. Chips are standard fare – I’d be amazed if they aren’t frozen – although they’re nice enough when added to that edible magic carpet at the end. Houmous is thick, claggy, slightly tahini-infused wallpaper paste (I only ordered it to try and prove that there’s something at King’s Grill for vegetarians: silly me, there isn’t). But the cornerstone – well marinated meat, cooked skilfully by people who know this stuff like the back of their hand, rushed from the grill to a warm flatbread and topped with crisp, fresh virtuous salad – is right on the money. Of course, I’m well aware that most people who go to King’s Grill won’t eat in. They won’t sit at those stools. They won’t even necessarily be sober. They’ll roll up at one in the morning, needing to line their stomachs, and they’ll have a doner with lashings of chilli sauce and a few of those odd pickled chillies they insist on plonking on everything, and they’ll probably regret it in the morning. But that’s not the point, because King’s Grill is far better food than drunk people deserve – and as a pit stop, unfogged by booze, early on a school night, it’s as good and fresh a quick option as you’ll get anywhere else in town. People will gladly go and sit at Mangal and pay twice as much to sit down and eat something very similar, but if you’re in a hurry King’s Grill is unbeatable. Dinner for two (two large kebabs, some chips and that forgettable houmous) came to fifteen pounds. The kebabs were six pounds each and, for me, if you compare that with Five Guys, or Handmade Burger Kitchen, or even Mission Burrito there’s only going to be one winner. I feel like King’s Grill is a well-kept secret – a few times I’ve seen waiting staff and restaurateurs from other places nipping in there after closing time. There’s a reason for that, put it that way. For me, the biggest irony of all is that in London, people rave about restaurants which don’t take reservations. 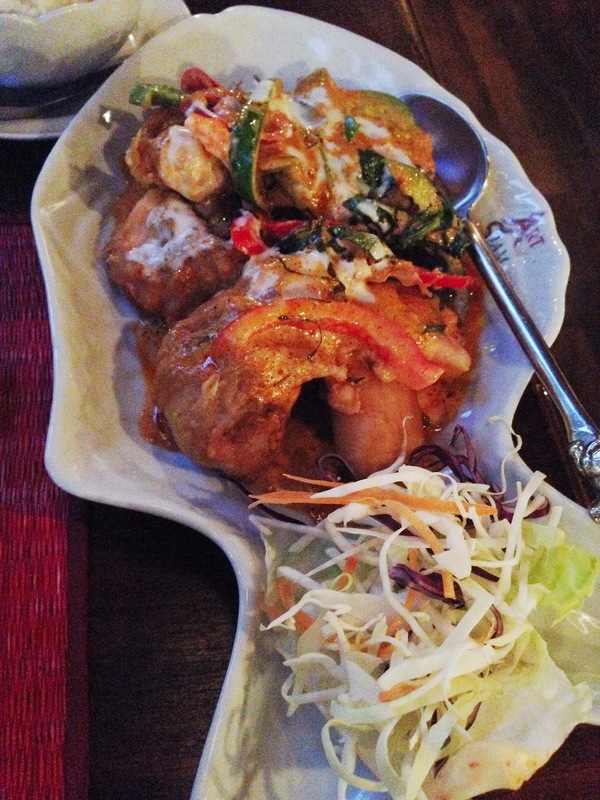 Restaurants which specialise, which do a very limited range of dishes but with consistent excellence. Places where there are only a handful of seats and you have to get there early to avoid disappointment. The capital is littered with them, and people queue round the block to get into them. But you know what? We already have one right here in Reading. It’s terrific. You should go. So yes, I’m sorry if you were expecting a two thousand word review of a fine dining venue, full of plates that look like art (and my photos of them which, err, don’t) along with a blow by blow summary of the amuse bouche and the pre-dessert. Except actually, I don’t think I am: there’s a place for that kind of restaurant (and it’s a pity that central Reading doesn’t have more of them, but that’s another story), but – this week of all weeks – I reckon made the right choice. N.B. Art Of Siam closed in December 2015. I’ve left the review up for posterity. I love eating out, really I do, but sometimes even I get a little jaded. The constant search for new places occasionally takes its toll, and from time to time Reading can feel like Indian after Italian after chain after chain. So for this week’s review I looked at the lovingly prepared, generously suggested list of dining options and I’m sorry to say that I really struggled to pick. The rain was bucketing down on and off and the thought of toddling over to Caversham or venturing out into the Berkshire countryside just didn’t appeal. What to do? 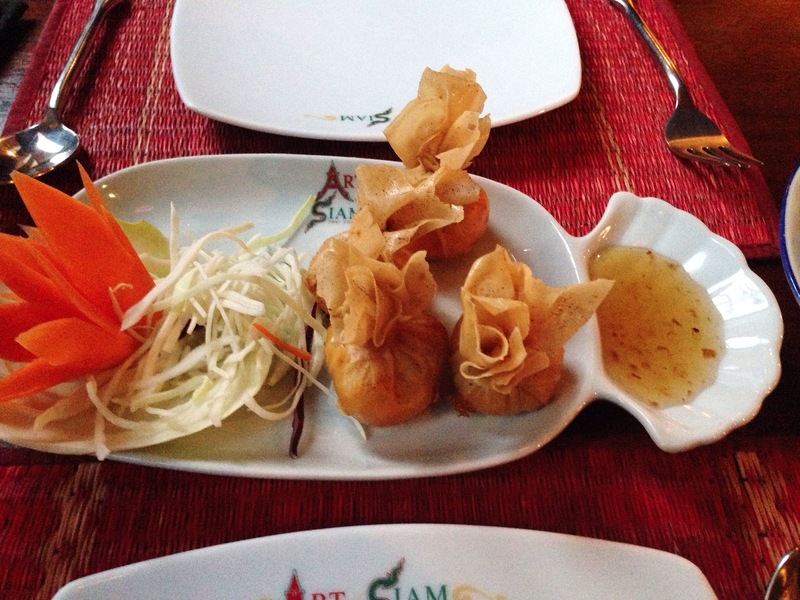 So I chose Art of Siam probably for all the wrong reasons; because it was conveniently central and because I couldn’t remember the last time I’d paid it a visit. I did make myself a promise this time, though: no starter platter, no pad Thai, no dishes that I’ve reviewed before in other places. I’m not always the most imaginative diner in a Thai restaurant, something even I know. This time, I told myself, it’s all going to be different. Besides, I imagine that any Thai restaurant worth its fish sauce will be able to rustle up a those dishes with the chef’s hands Thai’d (I know, I’m sorry) so it probably isn’t the best way to judge the kitchen. On entering the almost empty restaurant on a rainy mid-week night I had conflicting feelings of comfort and trepidation. The dining room is the same as I remember from my first visit what must be ten years ago – beautiful wood panelling lining the walls, a scattering of Buddhas and a gorgeous wooden lattice covering the ceiling. Even the shuttered windows looking down on King’s Walk are attractive. Only a few things – like the rickety rattan chairs, several of them taped or repaired – make the room look a little tired. Apart from that, the effect is like stepping into a movie set; at once splendid and a tiny bit contrived. The tables are all set with branded Art of Siam plates (and wineglasses), elaborately folded cloth napkins and forks and spoons. It really is a gorgeous place to eat dinner – marred only if you get one of the seats overlooking the somewhat municipal corridor leading to the kitchen. Service was quick, enthusiastic and a little, well, amateurish. In my quest to order something different for once I wanted plenty of advice only to find that the waitress didn’t really know her way around the menu. When I asked what was in some of the dishes, to help me choose, she suggested that one chicken dish contained onions and peppers, whereas another contained peppers and onions. Further questioning gave the impression that all the dishes were pretty much the same, in levels of vagueness if nothing else. When pressed she confessed that she had been working there for less than a week and so went off to ask the kitchen more about the dishes but even then, the answers didn’t make anything clearer. Later on, what purported to be our mains turned up – except they bore no relation to what we had actually ordered. We looked at them slightly baffled for a minute or so and the waitress then swooped and carried them off to another table (which was especially galling as they looked delicious). The whole experience was friendly and pleasant but utterly chaotic, which left me thinking that the whole meal was going to be something of a lottery. The standout dish though – not just among the starters but in the whole meal – was yum gai yang, or chicken salad. I’ve never had Thai salad before because, well, it’s salad, but this was in a different league. It was salad in the sense that it wasn’t served with a thick hot sauce, not in the sense of lettuce and tomato and celery. Instead I got slices of warm, freshly grilled chicken dressed with lemongrass, galangal, chilli and lime juice. The bits and bobs of vegetables it came with were merely for texture because it was all about the amazing dressing which was the perfect balance of hot and sour – just the right side of bearable heat and just the right side of enjoyable sharpness. Mains could never live up to that, but to their credit they weren’t far off. Pla chu chi, lightly battered white fish in a red curry sauce, was one of the biggest dishes I’ve been served in a long time. The sauce was a good one, although a little less generous than I’d have liked – especially after such a fiery starter – so not much to tip onto the rice (I’ve long thought the best bit of most Thai meals is that mixture of sauce and rice you end up with towards the end of the meal). In amongst the fish were slices of chilli big enough to kill a small child plus a dollop of coconut milk on top – just in case you hadn’t realised this was a rich and unhealthy dish. Gai phad bai kraprao, despite the long name, was probably the simplest dish I had: chicken stir fried with fresh chilli and Thai basil (and onions and peppers, not that that marked it out from the other chicken dishes on the menu by the sounds of it). Even so it was lovely with everything done just right: thin, tender slivers of chicken, soft sweet onions and a sauce which was more interesting than I was expecting, savoury and salty with a note almost of something like aniseed. Again, it was light on the sauce – I admire them for not drowning their main courses with gloopy sauce but it did leave me feeling my coconut rice (pleasant but unremarkable) was a tad underdressed. The only real misfire was the other side dish; fried noodles turned out to be wide, flat, almost completely undressed, clumpy noodles which transformed into rubber bands within minutes of being brought to the table. I’m still not convinced that they really were fried, because they felt more like they’d been steamed into a state of abject surrender, but the waitress assured me they were. I pretty much left them, although I had quite enough food so it wasn’t a tragedy (the waitress offered to take them back to the kitchen and get them to re-fry them so I could take them home, which is very sweet but does rather miss the point). The wine served here is allegedly exactly the same as in Thai Corner which makes me wonder if Monsoon Valley has managed to secure the only shipping containers that make it safely across to the UK. I say allegedly as it wasn’t the smooth easy drinking red I am used to from Monsoon Valley but after a couple of chilli-soaked slices of chicken it hardly mattered. It was just enough to take the edge off without getting silly on a school night. The total bill for two starters, two mains, two side dishes, two glasses of wine (and one absolutely indispensable glass of milk) was forty-three pounds excluding service – a steal for the quality of food and the boundless flavours on offer. If I didn’t review restaurants, and I’d been going out that rainy midweek night, I’d have gone somewhere tried and tested. I’d have had something I often order and I’m sure I’d have liked it well enough. And some nights that’s what you want, something comfortable and reliable. But I’m glad I didn’t. I’m glad that – for all its Italians and Indians and chains – Reading’s restaurants still have the capacity to surprise and that by going somewhere you’d taken for granted and forgotten all about, by taking a chance on something you wouldn’t normally order in a million years, you can still be ambushed by a wonderful meal. I hope you try it some time, if not in Art Of Siam then somewhere else. Either way, make the most of this because heaven knows, you won’t find me recommending the salad very often. So many elements go to make up a great restaurant, so many different things to get right, so many plates to spin at once. It’s fair to say that very few restaurants in Reading have perfected all of them. So you can go to a rather unimpressive room, like Bhoj, and have a knockout curry. You can go to Cerise and have beautiful food but be a little unmoved by the service. Or you could head to the Abbot Cook and sit in that wonderful room wading through their underwhelming food. This makes reviewing restaurants difficult: how do you weigh all of those different factors? But I always thought that the food comes first; if the food is great, nothing else can be that badly wrong. And I really believed that, too, right up until last week when I went to Malmaison for dinner. 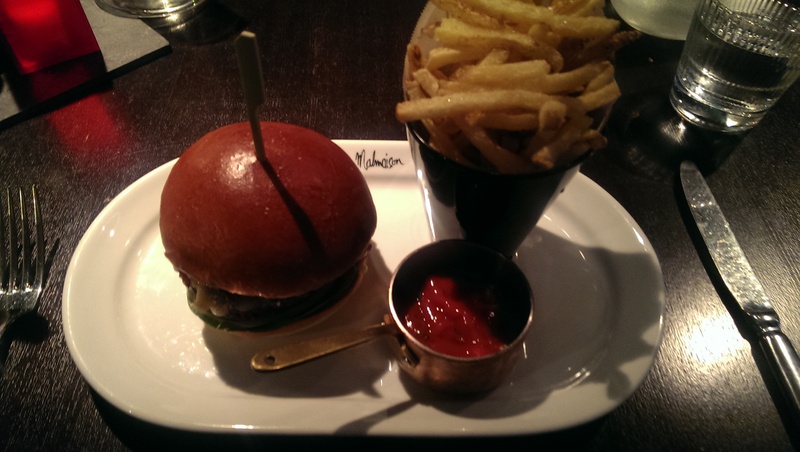 Because the food at Malmaison really is great; I didn’t try anything I didn’t like. Take the starters, for instance. Tuna tartare was both beautiful and delicious: a delicate roundel of chopped tuna on a bed of chopped avocado with a soy dressing drizzled round the edge (which tasted more of sesame than the advertised lime but was none the worse for it) with a few neat slices of pickled ginger and a squirt of gentle wasabi, like a wasabi mayonnaise. This was just delightful; fresh, zesty and with the other flavours not overwhelming the fish. Not an ungenerous portion, either, when it would be easy to make this kind of dish stingily nouveau. It was impossible to take a picture because of the glass plate but who cares? Food’s there to be eaten, not photographed, and this was perfect. The fritto misto was almost as good: beautiful prawns, the most tender squid I’ve had in Reading and some really tasty pieces of yellow courgette in a light, greaseless batter. Good enough, I’d say, to eat on their own – which might be just as well because I wasn’t wild on the sweet chilli sauce they came with. That felt more of an Asian, tempura-influenced choice when I was hoping for some aioli or even a fresh salsa verde to plunge my food into. But none the less, it was gorgeous – and again, not the mean portion I was expecting (I have to say, I went to Malmaison with some preconceptions: that my food would be pretty, prissy and pricey). Could the kitchen keep it up with the main courses? As it turns out, yes they could. The “le French” burger was similarly lovely. Served in a glazed brioche bun with a decently rough patty of beef, still pink in the middle, this was how burgers should be. Despite the slices of brie and the caramelised onions this managed not to be sloppy – just juicy from the meat – and the sweet and salty flavours worked beautifully. It was also, and this almost never happens nowadays, possible to actually eat it with your hands. The accompanying skin-on frites were perfectly decent, though I got the impression the staff aren’t used to serving vinegar as it came in a ramekin with a teaspoon and was of the white wine persuasion rather than good old Sarson’s. On the side was the tiniest copper saucepan with a tomato ketchup in it of unknown origin (it had green bits in but tasted like Heinz to me). It was rather unnecessary for this burger, so I wondered if it was there to meet expectation, rather than to actually eat. Still, it didn’t detract from what was a top notch dish: it was sixteen pounds, which I know is a lot, but it just about felt on the right side of the border between extravagantly indulgent and “they saw me coming”. Just. The sea bass was a conventional, safe brasserie dish but there’s no harm in keeping things simple and everything about it worked: two nice pieces of fish, cooked well (no crispy skin though, which was a bit of a shame) served with a delicate mix of firm, smoky, good quality chorizo, mussels, sautéed new potatoes and vinaigrette. This was closer to the sort of food I was expecting at Malmaison: Jack Lemmon to the burger’s Walter Matthau, granted, but I liked it a lot. So, you’ve read this far and you might be thinking about booking a table, right? Well, get to the end before you make up your mind, because literally everything else about this restaurant made me want never to return. Let’s start with the cardinal sin. The waiter came to the table after we’d finished our starters and took the plates away. About two minutes later they returned with our main courses. “Oh! That’s very quick.” I said. The waiter gave me what was probably a blank look but might have been him mistakenly accepting my congratulations. What do you do at this point? You can’t send it away, so you don’t have any choice but to sit there and eat it. But it just prompted other questions, like: were they cooking our mains the moment we started eating our starters? Was someone standing at the door to the kitchen watching us with a stopwatch? If I’d chewed a bit slower would my main course have been sitting there on the pass for ages? 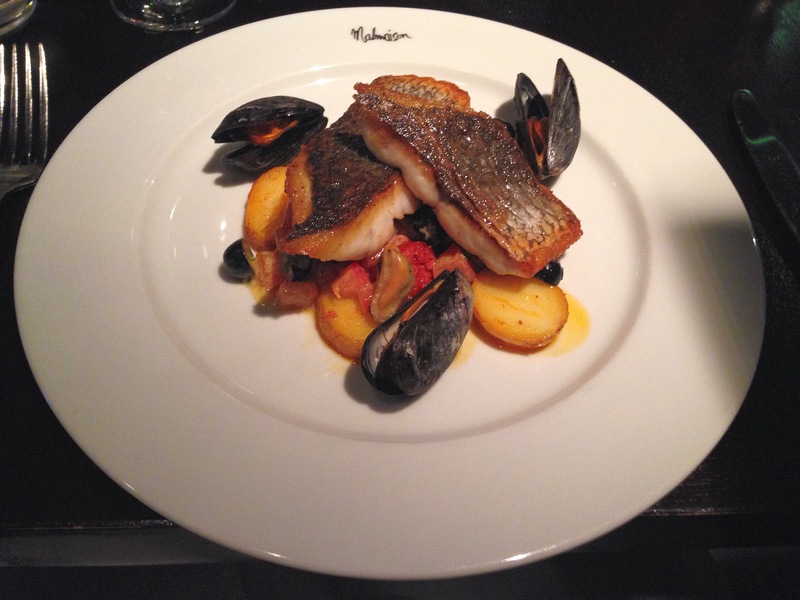 However you looked at it, this was plain poor: the Malmaison is not, from the menu – dishes and prices – somewhere you go for a quick meal. If I’m spending that kind of money I want to be there for a couple of hours, whereas if I want my meal to take forty minutes I’ll go somewhere else and I’ll spend a lot less. I could make excuses for them – it was a Sunday, they weren’t busy – but really, this was inexcusable. It’s called the hospitality business, and having two courses on a conveyor belt in less time than it takes to watch an episode of Game Of Thrones feels pretty inhospitable to me. Besides, just because I ordered a burger doesn’t make it fast food. Countless other people have complained about the darkness in Malmaison but, even so, it’s worth repeating. The room is dark. The walls are dark. The tables are dark. It makes eating (and photographing) the food an extra challenge, even though we managed to pick a table with some overhead lighting. The chairs are big and squidgy, so much so that when sitting I ended up with my knees higher than my thighs and it felt like the table was up under my chin. This is not conducive to a comfortable, relaxed meal. And there’s no atmosphere at all – which takes some doing in such Stygian surroundings. It has the feel of a restaurant which relies largely on expense accounts, which makes no sense when the food is so good. I suppose I should talk about wine and dessert. The wine list is cleverly structured and priced and one of the things that’s done well. We had a half litre carafe of a Brazilian Riesling/pinot grigio blend which was really nice; off dry, fruity and juicy with a touch of apples. It would have been nice to try more from their wine list – and we probably would have done if they hadn’t been in such a phenomenal hurry to get shot of us. Similarly, after eating two courses in quick succession we were too full for dessert, although in any case the menu wasn’t too inspiring, being the usual mix of ice cream, sticky toffee pudding, crème bruleé, cheesecake and other bog standard box tickers. The bill was seventy-five pounds including a discretionary tip of 10% that isn’t really discretionary unless service is bad enough for you to make an exhibition of yourself in front of other diners. 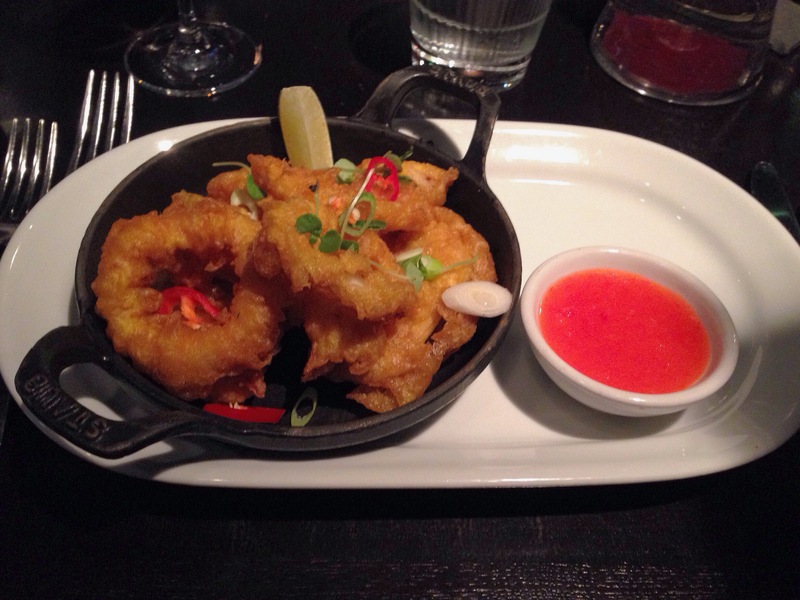 The whole process, beginning to end, of eating at Malmaison took approximately fifty minutes. So, is good food enough to justify overlooking all the other faults in a restaurant? I’m sure you’ve read all this and decided for yourself, but put it this way: I can’t imagine circumstances in which I’d go back. As I tried to get out of my almost-sat-on-the-floor-chair the couple at the next table joked about how uncomfortable the furniture was, and we shared a little moment about what an odd room it was. I think they enjoyed their experience more than I did, although their food if anything arrived even faster than ours. That was the most interaction we’d had the whole time I was in Malmaison, which by my reckoning makes it just mal. I so wanted to like Pau Brasil, probably more than any other place I’ve reviewed so far. So many people have urged me to try it, and on the approach up Mount Pleasant I could understand why – it’s a beautiful, two-storey, whitewashed building with vibrant cornflower-blue windows and doors, the Brazilian flag flying from the first floor balcony. I’d defy anybody to walk past it and not feel like going in, and on the day I visited the tables and chairs outside made it look even more inviting. It seems like it’s been dropped into that neighbourhood from a parallel dimension, only a few doors down from Whitley Street with its parade of takeaways and convenience stores. Inside, the welcome was every bit as friendly as the façade. We took the table next to the balcony in the nice, airy upstairs room – it’s nothing fancy or special, mismatched furniture and basic tables, but a lovely bright space where I could easily imagine whiling away some time eating Brazilian food. The owner brought the blackboard with the daily specials and we sipped on peach and lemon tea, our ice cubes melting at breakneck speed, while we tried to decide what we wanted. And, as with all appealing menus, we wanted everything. Pau Brasil offers a range of petiscos or salgados (the Portuguese equivalent of tapas) and they all looked good, so on the advice of the waitress we had the platter, a portion of bite sized petiscos to share. She cautioned us that it was on the small side, which wasn’t really true – whatever you might think of Pau Brasil you can’t fault them for their generosity. When they arrived, they were the first indication that eating here might not be an unalloyed delight. The best of them was the salt cod fishcake – beautifully crisp outside, soft inside and nicely balanced between the salt cod and the potato used to bulk it out. If I’d just had these, and the surprisingly pleasant glass of white table wine I washed them down with (a snip at £3), it would have been a lovely afternoon snack – but the other petiscos weren’t in the same league. The beef reminded me of a Lebanese kibbeh, nicely coarse but on the bland side. The chicken dumpling was a bit like a miniature Findus Crispy Pancake, with an orangey crispy coating filled with minced chicken which was perfectly okay but not exactly exciting. The prawn rissole was the same but filled with a sort of mayonnaise-y prawn dollop: pink, gooey, lacking in flavour. But the oddest thing was what the petiscos looked like: there was something about their uniformity of shape that made me wonder if they’d been made fresh on the premises. The chilli sauce they came with, however, was home made and had quite a kick. The tiniest dab was enough to give a whack of heat – I was glad that the waitress warned me that it was hot to save me from doing myself harm. In the spirit of trying as many different things as possible we attacked the main courses from both ends of the menu, trying the lighter and heavier options. What can I say about the banana, cheese and cinnamon toasted sandwich? Put it this way: if you read that description and thought “I like the sound of that” then you’d probably like it, if you think it sounds wrong then it won’t be the dish for you. It was exactly the sum of its parts with no element of surprise. Decent, again, but the cheese was a bit too mild to balance out the sweet banana and the cinnamon wasn’t quite strong enough to make the whole thing interesting. The bread was plain white sliced and the whole thing had the overall feel of something I would make at home if I was in a hurry and short of ingredients. 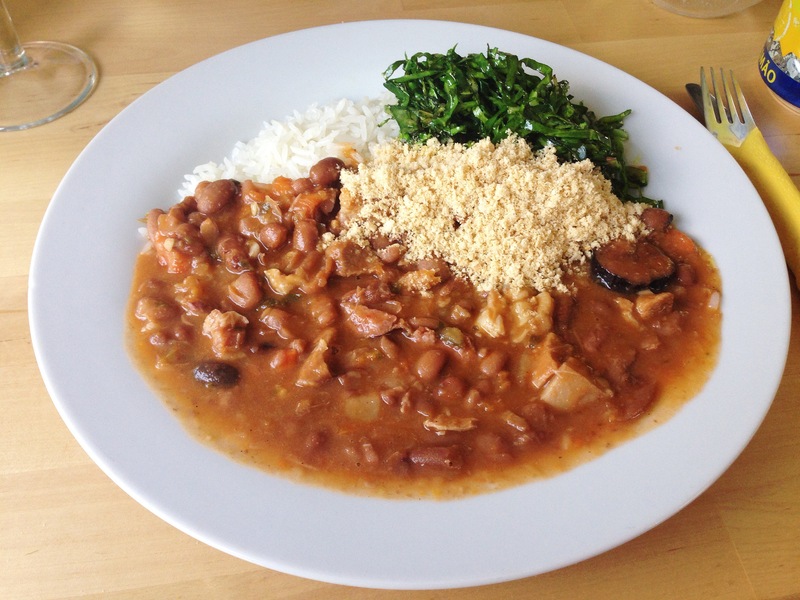 Feijoada is the national dish of Brazil, so I felt it would be wrong not to try Pau Brasil’s version. It wasn’t going to win any beauty competitions – half the plate covered in brown mush, a quarter covered with rice and a quarter covered in greens, a beige pie chart – but I figured that wasn’t the important thing about a hearty stew like this. The problem was that it tasted largely how it looked. Well, that and the meat: hunting for bits of pork turned out to be quite a challenge. Most pieces were thick with gelatinous fat, very few were fat free and there weren’t a huge amount of them in the first place. The rest of it was pleasant enough, but not very strongly flavoured. The beans weren’t bad, and the fat and some smokiness had at least made it into the sauce. The greens – salty, shredded and with just a little give remaining – were delicious, easily the best bit. But at the end I looked at the pile of wobbly leftovers at the edge of my plate and felt that, for ten pounds, it just wasn’t good enough. Really wanting to like Pau Brasil meant I also really wanted to give them a chance to make things right with dessert; normally, when a main is that disappointing I would just settle up and leave. Pasteis de nata almost did the trick – delicious, warm custard in that gorgeous flaky nest of pastry, sweet cinnamon on top. They were quite, quite lovely (and a bargain at £1.30). 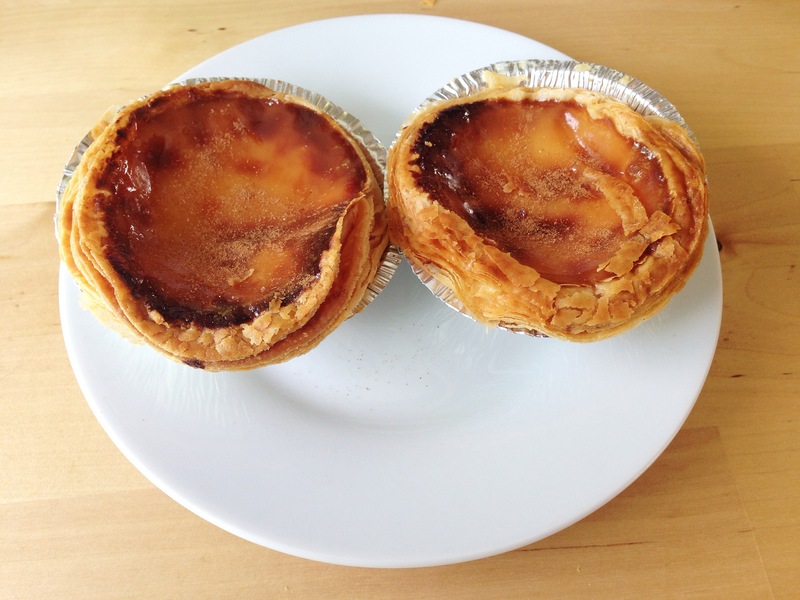 Again, I could happily go there just for the pasteis, if I lived in the neighbourhood. The bill came to pretty much thirty pounds, not including service. I spent more than you have to because I wanted to try a wide range of dishes, but as usual you could easily eat here for far less. Service was terrific throughout, to the extent where I started to worry about how to write this review about two minutes after I left. I’m not going to say that Pau Brasil is a bad restaurant. It is a lovely place, staffed by friendly people, offering something completely different – proudly independent and clearly doing very well. It just happens to be a restaurant I can’t see myself visiting again. If I lived nearby, on a weekend afternoon I might grab one of those upstairs tables and have a coffee and a pastel, or some of those salt cod fishcakes, and read a book, maybe: I could imagine doing that. But too much of the food just wasn’t to my taste, and however nice a room is, however great the service is, the food is always going to be centre stage. If I want meat, sauce, rice and greens I can’t imagine I’d ever pick Pau Brasil over, for example, Perry’s (or even Shed, on Fridays). If I wanted a toasted sandwich I’d make my way to My Kitchen (or Shed, again). Sometimes I really regret choosing to give restaurants a rating, and this is one of those times. I’m sure by now you’ve probably made a decision about whether Pau Brasil sounds like your sort of thing. The mark is an irrelevance. And you’ve probably also made a decision about whether it’s my sort of thing, and you’re probably right about that. All I can say is that on this occasion it’s given with a heavier heart than usual, because this is as close as I’ve come so far to wishing I could overlook disappointing food. Anyway, I’m sure no score from me will disappoint them half as much as that 7-1 scoreline, just under a month but almost a lifetime ago.